The nationwide smart meter rollout has already started, but so far we have seen only the tip of the iceberg. To meet the UK's ambitious smart meter targets will require the assembly of a huge workforce of highly trained smart meter engineers, something which ECTA training is helping to deliver. The nationwide smart meter rollout has already started, but so far we have seen only the tip of the iceberg. To meet the UK’s ambitious smart meter targets will require the assembly of a huge workforce of highly trained smart meter engineers, something which ECTA training is helping to deliver. The nationwide smart meter rollout is part of the biggest infrastructure improvement project in decades – if not of our generation. This project will ultimately transform the current ageing gas and electric transmission network into a state-of-the-art ‘smart grid,’ ushering in a new generation of smart appliances and energy savvy suppliers and consumers. This combination will mean more energy-efficient consumption which will in turn translate into lower household bills, better energy deals and reduced carbon emissions. The government’s nationwide smart meter rollout aims to install around 53 million smart meters into around 30 million homes and businesses by the year 2020. All energy suppliers are required to offer free smart meter installation to every one of their customers. While customers will not be obliged to accept a smart meter installation, there is a well-funded public information campaign already underway to help sell the many benefits of making the switch. For example, the fact that gas and electricity consumption can easily get out of control with the current set-up has been symbolised by the ‘Gaz’ and ‘Leccy’ animated characters in a series of memorable consumer-focused advertisements. 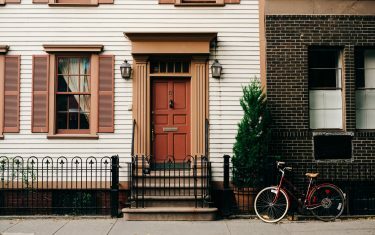 To bring usage back into the customer’s control, every smart meter will be accompanied by a portable display unit enabling customers to monitor how their lifestyle choices (turning lights off at night, adjusting the heating thermostat, etc.) translates into real money. With near real-time data, this link between energy usage and cost will become much clearer to the average home and business owner and will also be invaluable to suppliers and the wider network for tariff setting and delivery streamlining. 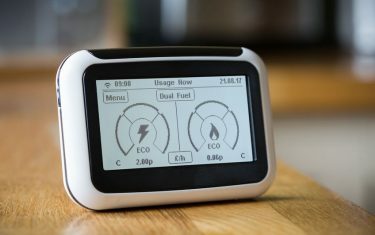 The delivery of the nationwide smart meter rollout has called for the creation of a new breed of meter engineer, someone who can combine the practical ability of meter removal, installation and testing with the customer service skills that industry regulator Ofgem have placed at the centre of the project. As such engineers will be in high demand, there are a number of attractive remuneration packages currently on offer with starting salaries on an upward trend. The turnover rate is also expected to be high as engineers quickly progress to supervisory roles and other positions within the energy industry. A prospective smart meter engineer does not have to be currently serving in the energy industry so may be an ideal career move for the recently redundant, or for practically able people, such as service personnel looking for a civilian role. Candidates will need to have secured a work placement within the industry prior to commencing training but some providers, including ECTA training, have teamed up with recruitment agencies offering work placement and guaranteed post-training employment for those who pass the course. ECTA training are able to offer customised smart meter training facilities in their Stockport centre for the classroom-based element of their training courses. The field-based element will involve mentored placements at genuine home installations. The course duration and fees will depend on a number of factors, including previous experience and whether candidates are interested in Dual Fuel certification (recommended) or prefer to specialise in gas or electric (power) meters. Gas and Dual Fuel courses will include CMA1 and MET1 ACS (Accredited Certification Scheme) Gas examinations, enabling engineers to become Gas Safe registered, paving the way for future work in the industry.